Lenovo re-introduced the Motorola brand to China last week. Lenovo's smartphone business is shipping more handsets to countries outside China, following the company's recent acquisition of Motorola Mobility and more competition in the local market. In the fourth quarter of 2014, about 60 per cent of the company's mobile phones shipped to countries outside China, Lenovo reported on Tuesday. That's a big change from the previous quarter, when the Chinese PC maker had sold only 20 percent of its handsets to foreign markets. Driving the shift was Lenovo's acquisition of Motorola Mobility, which finally closed at the end of October. Although the Motorola business is still unprofitable, Lenovo was quick to tout the brand's recent successes in an earnings call on Tuesday. "Last quarter, Motorola not only doubled its sales volume [from] a year ago, it sold over 10 million units in a quarter for the first time," said Lenovo CEO Yang Yuanqing. "But also it improved profitability at a better than expected speed." Motorola, now a subsidiary of Lenovo, has been largely selling phones in North and Latin America. But last week, the brand was reintroduced to China, after a two year absence in the market, when it was owned by Google. Lenovo now gets over 24 per cent of its revenue from its mobile devices group, up from 15 percentage points a year ago. But with the Motorola acquisition, the company's overall mobile business group is reporting a bigger loss than a year ago, deeper in the red from $US2 million to $US89 million. Lenovo has pledged to turn around the Motorola business in three to five quarters, and will do so by cutting costs with more streamlined manufacturing, and by shipping more phones, the company's CEO said. On the whole, Lenovo's fourth quarter profit was down 5 percent year-over-year, and reached $253 million. But revenue grew by 31 percent from a year ago to $14.1 billion. Although Lenovo still gets a majority of its revenue, at 65 percent, from its PC sales, the company has been diversifying its product line, by expanding into smartphone and tablets, in addition to targeting the server market. Its smartphones, in particular, have seen a surge in demand. In the fourth quarter, Lenovo became the third largest player in the global market behind Apple and Samsung, with a 6.6 percent share, according to research firm IDC. But in China, Lenovo indicated that it might be losing some ground to its local rivals. Part of the reason is because Chinese companies such as Xiaomi are successfully using their company websites to sell millions of phones directly to consumers. These phones, offered at affordable prices far lower than the competition, are "disrupting the market", Lenovo's CEO said. Back in November, Lenovo also warned that China would no longer produce the same hyper growth with smartphone sales, given that the market is saturated with so many low-priced devices. On Tuesday, however, Yang said that China was still an important market for the company, and that it would respond to competition by selling more phones through e-commerce channels, rather than relying on mobile carriers. The recently reintroduced Motorola brand will do this too, and even allow users to customize the way the phone looks through an online "Moto Maker" website. 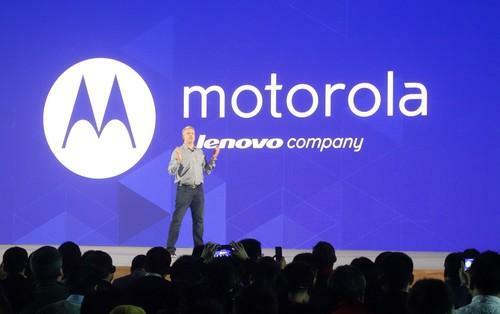 "After we re-launched the Motorola brand last week, we received very positive feed back from the market," Yang said. In one week, the company received over 1 million reservations from Chinese users wanting to buy the Motorola phones, although not all may choose to complete their purchase, he added.